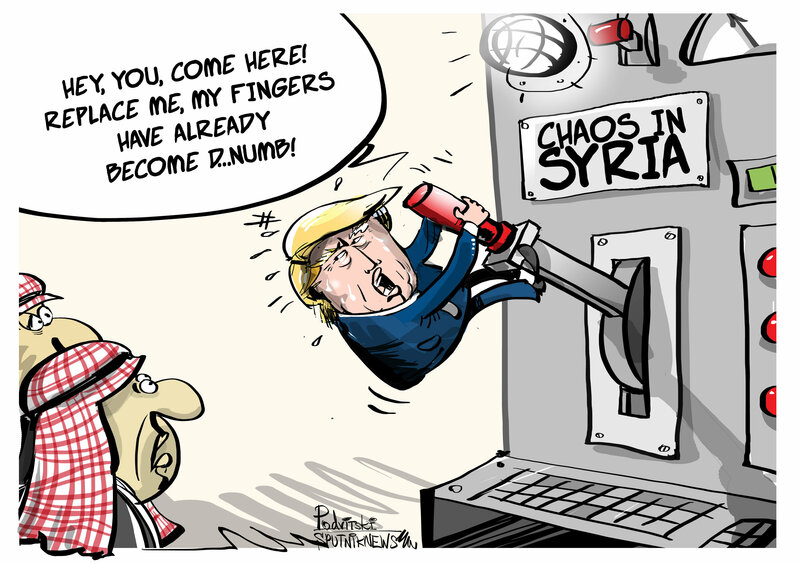 It seems that after bombing Syria, the US president has really decided that the "mission is accomplished" and turned to his Gulf friends in order to ask them to clean up the mess. The recent "charm offensive" visit by Saudi Crown Prince Salman hasn't gone unnoticed in the United States as media reported that Washington wants to replace US troops with the Gulf states' militaries. While the report has yet to be confirmed by the Pentagon, the Saudi foreign minister has stated that Riyadh was ready to send its forces to Syria if proposed.